potentially yields more energy efficiency than biomass combustion. Its significance is especially obvious in developing countries where there is significant amount of biomass, whose wastes would otherwise contribute significantly to GHG if not treated. The gasification of biomass wastes to produce electricity (and heat) is also important considering lack of energy access especially in rural areas of these countries. 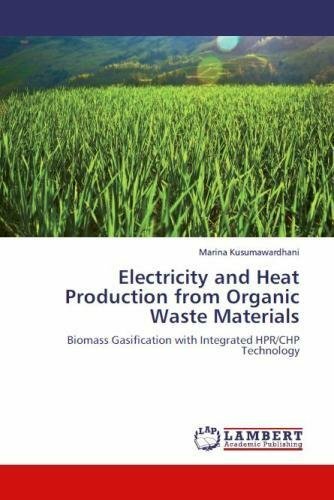 This book, therefore, examines the gasification simulation process and efficiency of different biomass waste materials common in these countries. The simulation experiments with a new technology called HeatPipe Reformer (patent: TU Munich) integrated to a CHP plant, and is built and calculated using IPSEpro software. The simulation results show the efficiency of each sample materials as well as its best operating parameters. The analysis should help shed some light on the exciting development on RETs, and should be useful to governments or professionals in Energy and/or Community Development fields.